The Ogilvy restructure comes as WPP overhauls its creative offering, with redundancies at JWT announced this week, the resignation of WhiteGrey CEOs Paul Worboys and Mile Joyce and today, the exit of Y&R CEO, Phil McDonald. 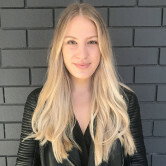 Ogilvy Sydney has restructured its creative offering, integrating its social and content teams into the department and hiring former Clemenger execs. Ben Smith and Luke Hawkins worked at Clemenger Sydney for more than three years and now join Ogilvy as creative directors for KFC. Ogilvy ECD Derek Green said the hiring spree and merger of teams marked one of the most exciting times in the evolution of his creative department. “These days, we’re constantly fighting to keep our ideas as simple as possible in an ever-so-complex environment. With so many ways to talk to consumers, it makes no sense to get the so-called ‘mainstream creatives’ to create the big idea and then hand it off to the social/content team to adapt the idea for their platforms,” Green says. Green says the hires of Hawkins and Smith mark Ogilvy's exploration of talent outside "just the inner city advertising community", despite both working at inner city agencies. "It’s a necessary approach in a fast-moving market, and our clients are already reaping the rewards as we continually produce work that works,” he says.